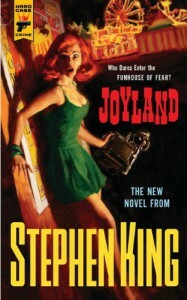 JoyLand is a slow burn of a book and that was alright by me. I love getting to know King’s characters and Devin Jones is no exception. He’s our young, intelligent narrator, burning with the passion and enthusiasm of youth; he is also healing a broken heart, his first, when he signs up to work at the carnival. This is a Hard Case Crime file so one would expect a murder or two and there is, except it happened years ago and remains unsolved. While never really taking center stage through most of the book, this crime remains a backdrop to the story being told, one that is never forgotten but somehow seems to thrive in the shade, where Jonesy and his new friends are coming of age: it waits quietly, constantly there, carefully camouflaged in shades of fear. If you are looking for fast paced, adrenaline fuelled horror, look away, but remember this is King, who spins a good yarn and we are at a carnival; you do the math. 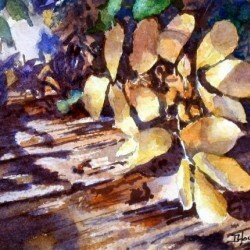 As for me, like my Doyl every time I get the brush; I lapped up every stroke. And I fell in love with Mike, who wouldn’t? And his little dog Milo too. I like the fact that it was told from a distant perspective, as a recollection of events past, the ones that shaped Dev’s 21st year of life. After all………When it comes to the past, everyone writes fiction. My goodreads friend Brandon Sears, in his review of this same work, says Stephen King is like literary comfort food. I couldn’t agree more, in fact, I wish I’d said that.